Fort Missoula was established as a permanent military post in 1877 in response to requests from local townspeople and settlers for protection in the event of conflict with the western Montana Indian tribes. Fort Missoula never had walls, being instead an "open fort," a design common for posts located west of the Mississippi. Open forts required troops to take the offensive and actively patrol the areas to which they were assigned. 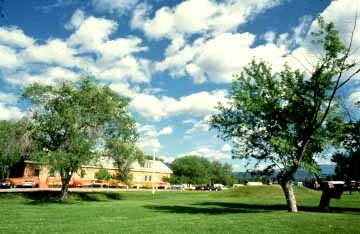 The Historical Museum at Fort Missoula was established in 1975 to collect, preserve, and interpret the history of Missoula County and western Montana for the education, recreation and cultural enrichment of visitors and area residents. It is located on 32 acres at the core of Fort Missoula, an area included on the National Register of Historic Places. The museum has over 18,000 objects in its collection, including the main museum building, formerly a Quartermaster's Storehouse.